It was chock-full of good advice that any leader could readily utilize. Do not be overly critical. Give honest, sincere appreciation. Get the other person’s point of view. Show genuine interest. Smile. Be a good listener. And make the other party feel wanted and important. This isn’t rocket science, just good policy and plain common sense. It is something sorely needed today in U.S.-Turkey relations. It is worth stepping back from the current downward spiral and reinvesting in a long-term, rock-solid, good relationship before it’s too late to restore good relations with Turkey. That’s the way it was for decades, and it’s the way it should be for decades to come. The consequences of deterioration in the relationship are just too great for each side. Yet the U.S. appears to be doing precisely the opposite of what Carnegie suggested and is literally losing Turkey as a good friend and ally. 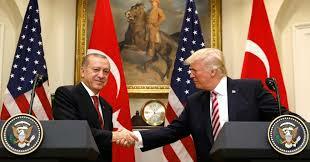 Until last week, President Trump and Turkish President Recep Tayyip Erdogan seemed to be forging a strong personal relationship. National interests of the two strong NATO allies, who have long cooperated and held each other in esteem, appeared to be – even with a few bumps and irritants – headed in the right direction. Turkey is a friend, a trading partner and a close military and intelligence partner. The bilaterals between the two world leaders have gone relatively well, as recently as their time at the United Nations just weeks ago. After all, the two countries truly do need each other. This in spite of the fact that the U.S. has failed to meet a reasonable demand of Turkey, its dear friend and ally. What demand is that? Namely, the return and extradition of Fethullah Gulen, a known terrorist operator who it is established played a lead role in the attempted coup of President Erdogan’s government in July 2016 that killed 250 people. Even when presented with reams of information and dossiers of evidence the U.S. State Department and the Justice Department have been slow or remiss to act. If the shoe were on the other foot, would it be so? Of course not. Turkey has a treaty with the U.S. and has itself extradited numerous assailants to the U.S. over the years. If Turkey harbored a terrorist who tried to overthrow the legitimately elected government of the United States, would we demand his head? You bet ya! What’s at work here, then? The problem appears to be the deep state and longstanding political IOUs. U.S. ambassador to Turkey (until recently, he is being reassigned to Afghanistan) John Bass, a career Foreign Service Officer and Obama loyalist with no ties whatsoever to Trump or his policies, has overplayed his cards and is doing unthinkable damage to U.S.-Turkey relations. He appears to want to destroy what took 70-odd years to build. His outright disdain for Erdogan and his AKP (Justice and Liberty) Party are most newsworthy. And in the process, we witness the horrible fallout. It includes the suspension of visas between the two friendly countries – putting Turkey in the ranks of Syria, Yemen and other terrorist states. The harm done to trade, investment and tourism is potentially irreparable: a loss of Turkey in the fight against ISIS, our common foe; the possible removal of U.S. troops and nuclear weapons from the strategic Incirlik airbase in Turkey; the denial of papers to Turkish VIP invitees to attend the Trump inauguration; and now the brouhaha around the arrest of a Turkish citizen who is accused of espionage – spying – who worked in the U.S. embassy. 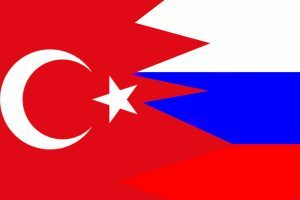 Certainly it is not Trump’s policy to chase Turkey into the willing and open arms of Russia and its Iranian partners. But is it the policy of the deep state and its agents like Bass, who work to thwart everything Trump is doing in foreign policy? 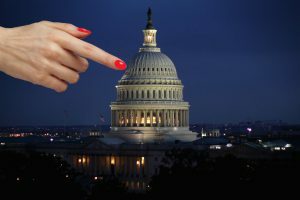 The IOU is the dirty money Gulen and his FETO network has paid for years to obtain support and cover in the U.S.
That so-called “spiritual network,” which is a known terrorist Islamic threat, has funded lots of congressional campaigns and made sizable donations of millions to the Clinton Foundation. Such political favors have bought influence and safety in the conclave of Pennsylvania’s Poconos, where Gulen maintains his nerve center, undisturbed. Exposing the history of such doings and payments would further question the same deep state. Therefore, President Trump himself needs to get involved to resolve this situation. His State Department is not doing it. He should call President Erdogan tomorrow urgently and revert to the late Dale Carnegie’s well-advised policy. He should personally offer to work to extradite Gulen soon, close down his terror network and expose its doings – even its connections to Democratic politicians. The visa window should be reopened immediately and a special hotline installed to keep Turkey on our side and as a loyal friend and willing ally. He should also tell Turkey not to buy Russian anti-ballistic missiles and offer to sell it our preferred systems. We do not want a diplomatic war or worse with Turkey, and the president can act to avoid one, if he steps up to the plate (big league) now. 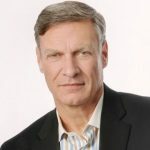 Dr. Theodore Roosevelt Malloch is CEO of Roosevelt Global Fiduciary Governance, Author, Consultant and Former Diplomat.